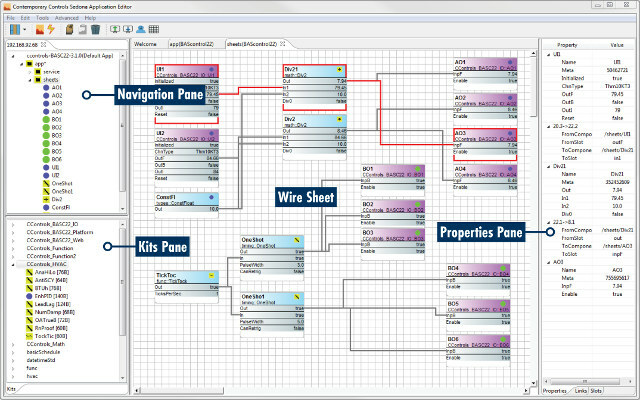 BACNet is a data communication protocol for Building Automation and Control Networks that has been developed, supported and maintained by ASHRAE (American Society of Heating, Refrigerating and Air-Conditioning Engineers) Standing Standard Project Committee since 1987, and used as building automation standard in the US, Europe, and more than 30 other countries. It’s used for HVACs, lightings, elevators, fire safety, and other systems used in buildings. It’s also known as ISO 16484-6 standard. 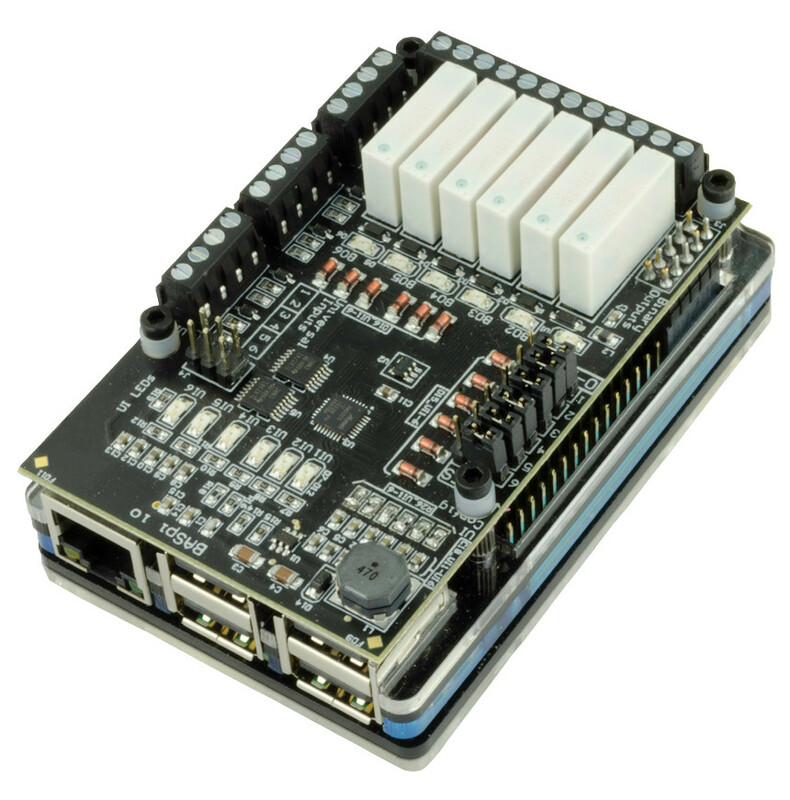 I had never heard of it, but this afternoon, I’ve come across Contemporary Controls BASPi I/O, a Raspberry Pi add-on specifically designed for BACNet, and providing 12 physical I/O points including 6 Universal Inputs and 6 Relay Outputs. The board is programmable with free Sedona Application Editor, configurable using your web browser, and supports 48 Web Components for live monitoring and control of wiresheet points from the BASpi’s web page. You’ll need to install Raspbian on your Raspberry Pi 3 board, as well as firmware files provided by Contemporary Controls, or download an all-in-one firmware image provided by Contemporary Controls. Pricing for the board and complete system has not be announced yet, but according to the product page, both will be launched on March 1, 2018. The board is especially interesting thanks to its configurable physical I/Os, but if you just want to control some GPIOs over BACNet, you can do so with Raspberry Pi board – plus any suitable optional I/O board – running BACNet Stack, and browse the device using tools such as BACNet Browser, or CAC BASNet Explorer as shown in details in the video below.